We already have clue as to when JAMB form will be on sales. You can be reading this piece after the registration is already on either. As a result, you need to know how to prepare for the UTME in order to score higher mark which can guarantee you admission to a desired university in the coming admission year. The post below is my quick guide and advice on how to prepare for your UTME. Note that the ideas here have been used by myself and several other successful applicants in the past. And if used well, you will love you take to them too. Without further ado, let get down to the work. This has been one of the proven methods to prepare for and pass JAMB or any other exams further matter. Since a majority of UTME applicants are already out of secondary schools, you’ll need to return to a physical room for learning. Around the country, are reputable lessons especially to prepare candidates for UTME. Hence, look for one within or outside your city. You will need it. However, if you’re a candidate of pre-degree, IJMB, JUPEB or any other advanced courses in any school; you may not need another lesson. You’re already under intensive academic care by your school or the study center. Generally all you will learn here will get you ready for JAMB. Should you can't find the right lesson for you, adopt the method below. I had recommended it for people and it worked fine. If you can afford it, this will be cooler. Look for the best teacher or tutor for each of the four UTME subjects. You can get these teachers in your town. Approach them for one-on-one class and discuss the terms. Your tutors can visit and take you at home or you can go to them at your scheduled pace. You will need a collection of past question series of your four UTME subjects. These packs are available at your local bookshops, markets and education centres. UTME series contain past questions for several years. In most cases, a candidate may not be able to cover all the years. Hence, I advise you select and cover about ten years in each. I call this selective reading. This is because making an attempt to cover all is an attempt to master none. JAMB usually repeat questions from previous exams. This is why you have to study by heart. You won’t be surprised to see some questions you’d already covered when you’re sitting right in front of your computer. JAMB UTME is computer-based and that shouldn’t be news again. However, not all candidates are used to computer-based tests. So, how do you go around this? It’s easier to believe that if you know computer, you already can do CBT. Yes, that’s true. But you still need to familiarize yourself with the real UTME CBT environment. If you’d already known how to handle mouse and laptop touchpad, you’re free from learning to do that now. If however, you don’t know how to get yourself around the screening with your desktop mouse and its laptop counterpart, you still need to learn how to use those exams weapons. Meanwhile, CBT is more than the ability to use a mouse and touchpad. Yes, it’s more. You have to study with real exams software and working within the stipulated time. This is more important. Buy JAMB UTME software, install it on your home computer and study with it. This software is available for download online. Some are free, but some paid. If you have to pay for it, it shouldn’t be more than N2000 for their activation key or license. I will add a download link to such software when I find one that is really satisfactory. Before then, google search to look for some out there. 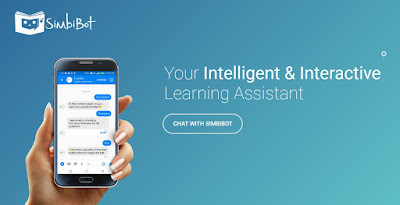 Simbibot is a free UTME and other exams CBT platform. With this chat-like platform, you interact with a robot while you’re preparing for your exams. Simbibot will ask you to choose the exams you’re preparing for and it will present you with a series of questions on English, Mathematics, Biology, Physics, Chemistry etc. A point of warning! Most of this software can equally be downloaded on phones through Google play store. But, they can’t help you accustom yourself to the use of mouse and touchpad if you’re practicing on phones. This is why the computer version is the best for you. But if you just need leisure study, you can be a friend with your phone’s screen instead of wasting time on Facebook and Whatsapp chatting. JAMB has really taken a step further in order to prepare you for real UTME. They now include the option to sit for Mock before the UTME. This option is voluntary. You don’t have to write mock if you already know how to use a computer to write exams or you’re already familiar with CBT environment. If not, you need this. During your UTME registration, the CBT centre will ask if you’re interested in writing Mock. Then your answer should be “Yes”. You’re to pay for this service too. In other words, you may need to pay N700 separately for the Mock. JAMB will schedule you for Mock before the UTME. Then you should see your score too. This will let you know where to improve yourself. 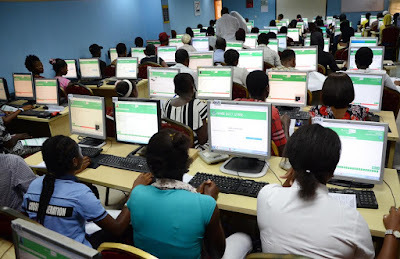 JAMB Mock exam doesn’t add or deduct any mark to or from your real UTME score. It only prepares you for the task ahead. how to prepare for JAMB within one month? how to prepare for JAMB in two weeks? how to prepare for JAMB as a science student? 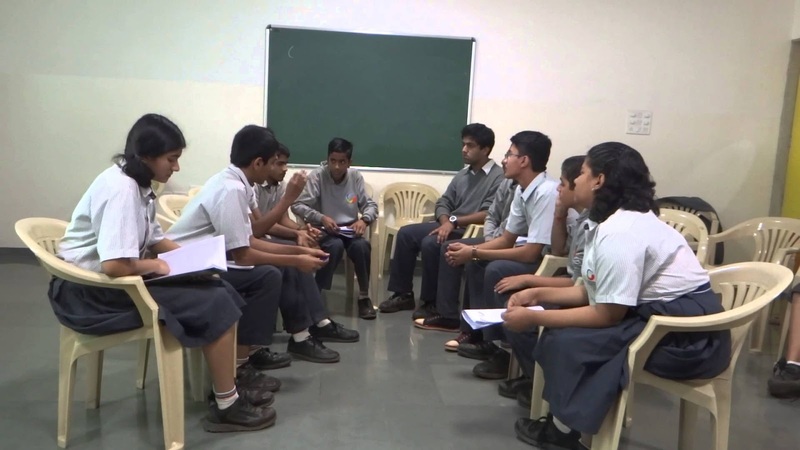 … your answer is Group Discussion. Look for about two or three friends who are writing the same papers with you. You can get them within your lesson room or outside. Just make sure you’re writing the same subjects to have equal experiences and feelings. Select some key topics within your subjects and divided it among you guys. You will read the same topics and pick a day to come and discuss it. On the day of discussion, you can be tossing questions to one another. See if you can answer all their questions and if they can answer yours. During this, you may need to explain why you think your answers are more correct and if need be, give references from the books you read. If you realize you're missing out somewhere, you should go back home and study again. Then the next day you read other topics and later discuss it. This you will do till you cover all the selected topics. If you’ve written JAMB before but you had some bad experiences due to wrong subject combination or so, I may not need to tell you the importance of studying JAMB Brochure again. If however you’re a newbie, you need this more than anything already mentioned. You see, experience has shown that even with highest marks in UTME but with a wrong subject combination in UTME or SSCE, you can still be at home next year while a friend with a lower mark is sending you his selfies from a campus. You will save yourself some pains if you can take a moment to study the JAMB brochure before registering for UTME or DE. Reading This After You'd Registered UTME/DE? Even if you'd made mistakes, there are solutions to them. You can still verify if you're eligible for that school and the course selected. Then, you can make possible corrections during JAMB change of institutions and courses exercise. You will be glad you do this before applying for JAMB in the first place. Going around the internet, you will see a series of blind-guides to prepare and pass UTME. This I give you is nothing compared to all the trashes out there. It’s not only obvious but a detailed experience. Those who are embarking on a journey should ask their ways form those who have just returned from the same journey. Help me get this post across the ocean. I want others to benefit from it. Please share using the share icons below. It means a lot to me and others.